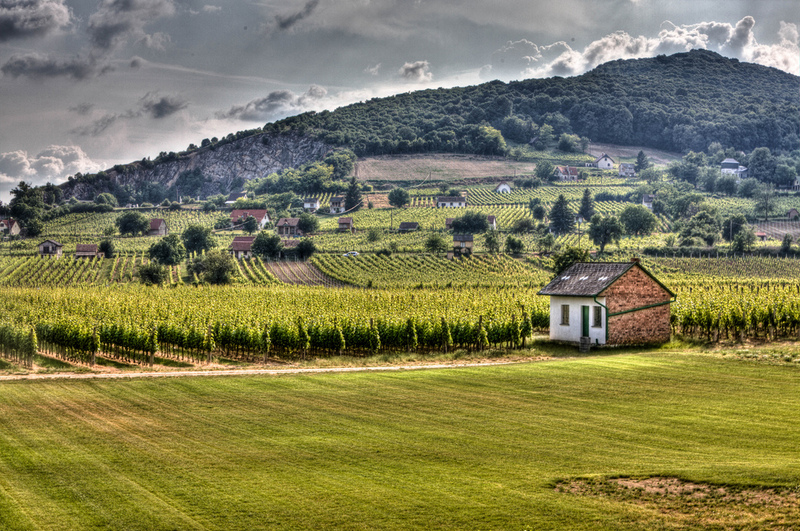 In the world of wine, Hungary is a country that cries out for rediscovery. It wasn’t always this way. There was a time, centuries past, when wines from Hungary were the toast of the courts of Europe. Long before Champagne became all the rage in the mid-nineteenth century, a Hungarian dessert wine called Tokaji was known as vinum regum, rex vinorum, ‘the wine of kings and the king of wines’. Luminaries such as Beethoven, Voltaire and Liszt all swore by the stuff, and Louis XIV, the Sun King, used to order crates of this golden nectar for the court at Versailles. In 1730, Tokay wine was the subject of the world’s first appellation control, well over a century before the classification of Bordeaux. The story of Hungarian wines goes back at least to Roman times. Most of the wines produced here were white, until the 16th century when Serbians, displaced by the Ottoman invasion, brought with them kadarka, the grape variety which is at the heart of Bull’s Blood (Egri Bikavér). As with other types of Hungarian wine, to drink Bull’s Blood is to drink history. The story goes that, when the Ottomans besieged the town of Eger, the Hungarian troops, vastly outnumbered, were served red wine from the local vineyards. Somehow, a rumour spread among the Ottoman Turks that the defenders of Eger were ‘fortified’ by dark red wine mixed with bulls’ blood. A bit of psychological warfare, perhaps, but the Turks turned back and fled. There are several variations on this bit of history dipped in legend. What is in no doubt is that in 1945, after Hungary fell to the Russians — signalling 44 years of socialism — all the country’s big vineyards were broken up. Often the land was ‘redistributed’ to the peasantry, three hectares each. This instigated an almost instant decline in production, so collective farms and cooperatives were introduced. Unfortunately, collectivism was hardly conducive to quality, or individuality. The co-operatives had to fulfil production quotas handed down to them by ‘the party’, so numerous poor practices were adopted. The sloping vineyards that characterise the Tokay region, for example, were abandoned, and the thin, sandy soil of the Great Plains, which allowed the use of tractors, became the home of many a vineyard, and the source of an enormous quantity of shockingly bad wine. By 1989, the year which saw one communist regime after another topple like dominoes across Europe, the reputation of Hungarian wine was in tatters. It’s amazing what a generation of bright, wine-loving Hungarians can accomplish when they put their minds to it, individually and collectively. These days, the renaissance of the Hungarian wine industry is well underway. Inside Hungary, a new breed of wine growers is held in high esteem, and Hungarian wine is slowly reshaping its image in foreign markets. In contemporary Hungary, the best-known varietals are probably the aforementioned Tokay and Egri Bikavér, along with the red wines from Villány in the south. Tokay, a sweet wine made from grapes infected by ‘noble rot’, varies in rating from one star, which can be purchased for a few euros, to five stars, a bottle of which can cost hundreds. Bull’s Blood is traditionally a blend of five or more grapes, with the kadarka grape acting as the base note for other flavours. It is aged 12 months in the cask and six in the bottle before going to market. Since the days of communism, however, inferior quality Bull’s Blood has been mass-produced, with some real rot-gut available in stores for two or three euro. If looking to taste quality Egri Bikavér, then seek out the appropriately named Superior label. 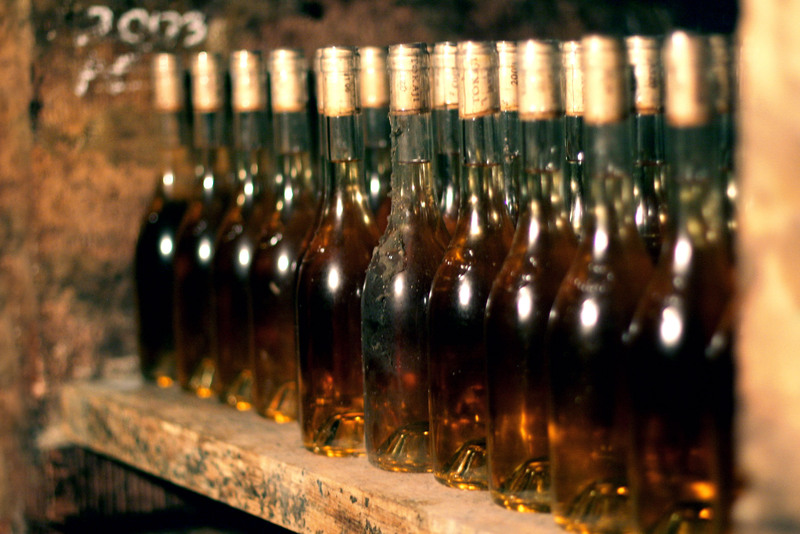 Tokaj aszú in the cellar. Photo courtesy of Taste Hungary. 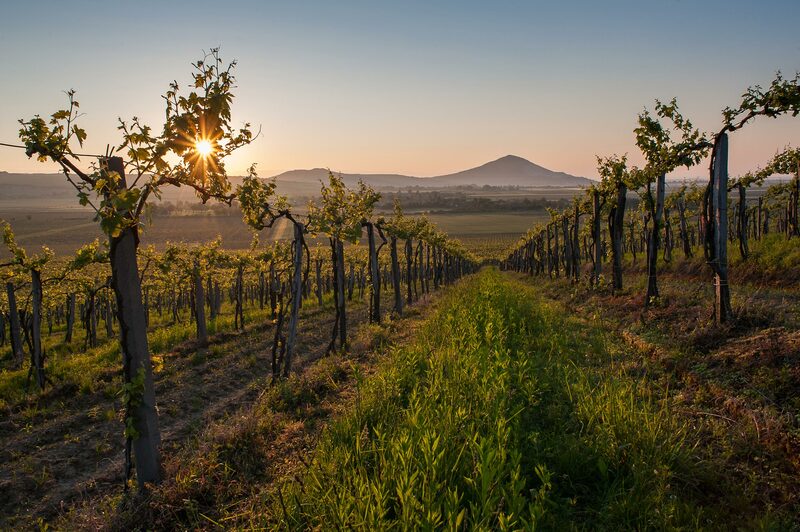 Some of the most successful vineyards are located in Villány region, not unrelated to significant foreign investment, and wine tourism is comparatively big business in an otherwise quite poor part of the country. A prime example is Kopár, a full bodied barrique-aged cuvee of cabernet sauvignon, cabernet franc and merlot which tends to be dense and tannic with a concentrated bouquet and the potential to improve greatly with age. As for the sparkling, or as they call it here, peszgő: Hungary has been producing this since the 1820s. Most of it is made in the Budai Mountains, near Budapest. New méthode wines are emerging, as is a more frequent use of ‘native’ grapes, such as olaszrizling. The most popular and most widely available of these sparklers is Hungária Extra Dry. It is made employing the méthode traditionelle, where the wines ferment and mature in the same bottles. The grapes in this instance are 100 per cent chardonnay. A bottle of Hungarian Extra Dry can be picked up at retail price of about six or seven euro. This is another commendable aspect of Hungarian wines, at least when purchased in Hungary: they are astonishingly good value for money. But this is the tip of the proverbial iceberg: a lifetime could be spent exploring the different varietals and vineyards of the national viniculture. It seems the hour must be at hand when Hungarian wines again enjoy their season in the sun, but in the meantime, the scarcity of Hungarian wine globally is all the more reason to travel to this country of 22 wine regions. Here are a few places to commence what could be a lifelong friendship. This specialist tour operator organises everything from Danube wine cruises, special dinner and cooking classes, and regional wine tours and vacations, to Budapest walking tours, orientated around wine. 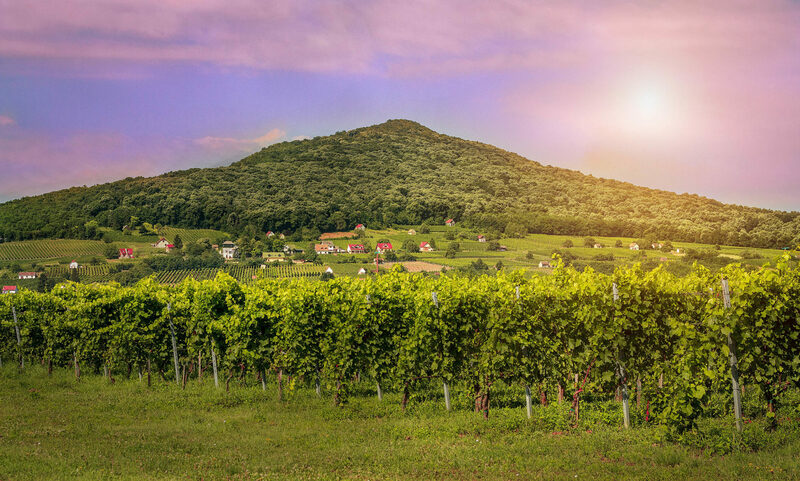 The regional tours include well-planned wine trails to relatively nearby destinations such as Vienna, Bratislava and Subotica, just over the border in Serbia. They also have a ‘tasting table’ and shop in Budapest, on leafy Brody Sandor Street, right next to the National Museum. This is the first wine bar in a fast growing chain, sitting in the shadow of St. Stephen’s Basilica, the Hungarian nation’s equivalent to St Peter’s in Rome or St Paul’s in London. As the bar is dedicated to selling and promoting solely Hungarian wine, it seems odd the owners gave it an Italian name — but that’s to quibble. They have a terrific selection of Hungarian wines to wash down finger foods such as duck crackling, olives, and ham and cheese platters. There’s a shop onsite for home supplies. There are few better places for developing a taste for Hungarian wines than this cosy wine bar in the seventh district, the quaintly ramshackle old Jewish neighbourhood. This establishment has 200 types of Hungarian red and white wine, rosés, sparkling wines and dessert wines. If the avuncular owner is in, he’s happy to share some of his passion and expertise. Regular live jazz and a tasty selection of bar snacks make for the ideal accompaniment to an evening’s tasting.